Who’s to say cufflinks can be made out only out of metal anyway? 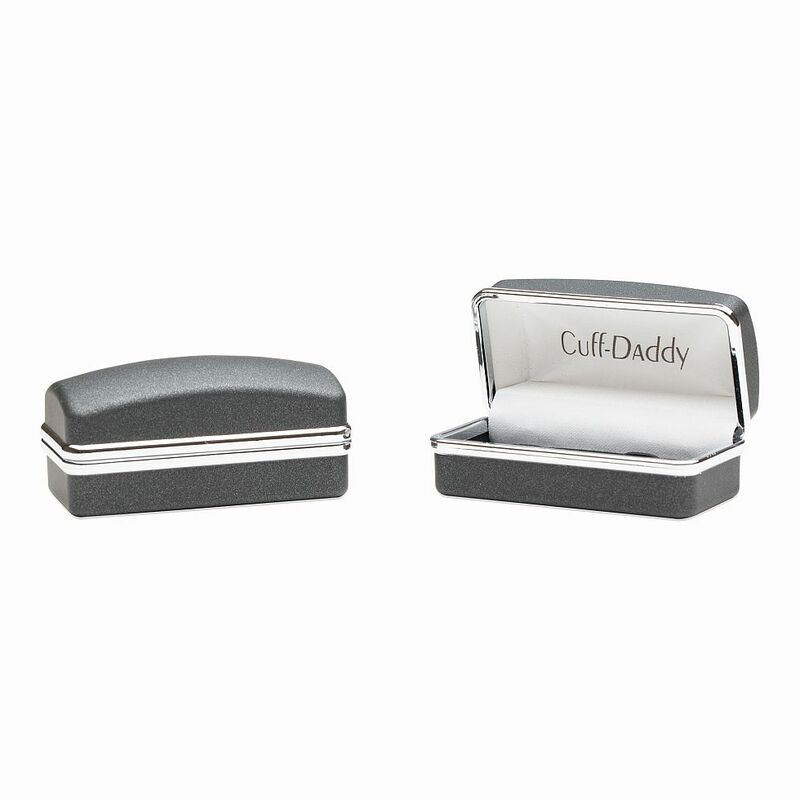 Here at Cuff-Daddy, we decided to spice up the categories of materials we use, so we added wood to the traditional metal, enamel and silk. 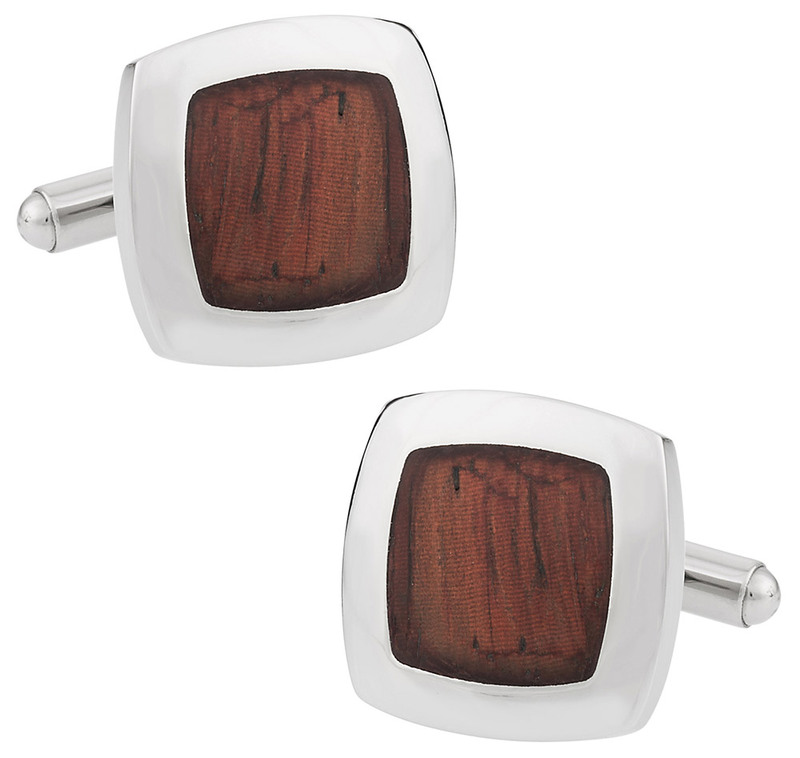 A square stainless steel mount serves as the basis of this set of cufflinks, upon which was embedded a deep colored cherry wood chip. With utmost care, our team of diligent and skillful craftsmen applied a gentle layer of clear, glossy enamel in order to confer it that lucent shine. 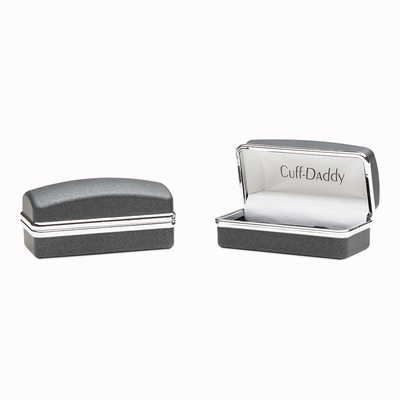 The item arrives in a high quality, elegant gift box. Nice simple, but very noticeable The cherry wood gives it kind of a rustic look and feel. A very vintage attitude and feeling. Lovely.